A few weeks ago I completed a quilt created for my cousin Syd's wedding. For the top of the quilt I used organic cotton dyed with coffee and black beans. 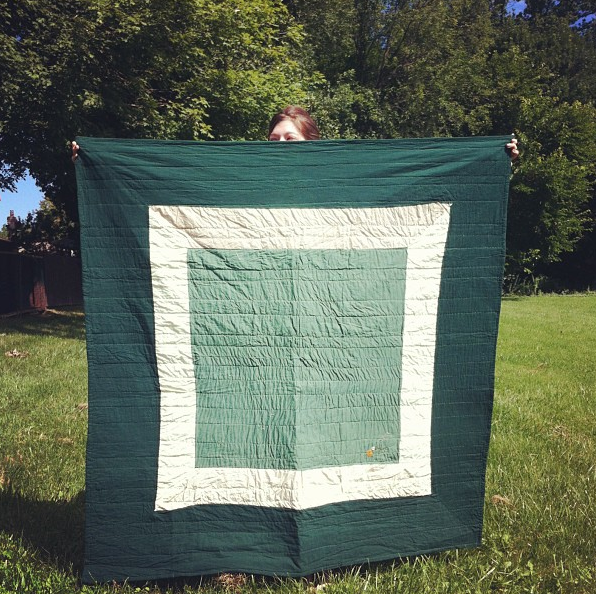 The quilt measures 5 feet by 5 feet and is machine pieced and hand quilted.